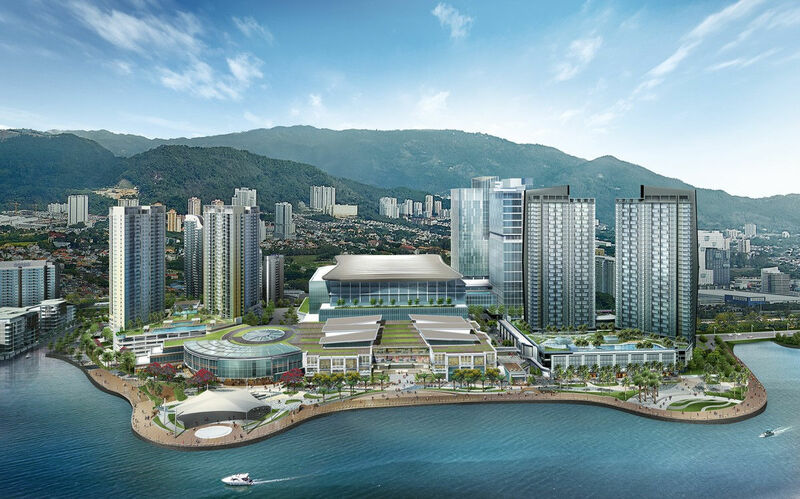 The Penang Waterfront Convention Centre (PWCC) spanning 25,083sq m is poised to turn the state into a hub for conventions and exhibitions in Southeast Asia. 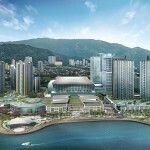 Its multipurpose hall will be a sprawling 7,060sq m, the largest ever planned for Penang. 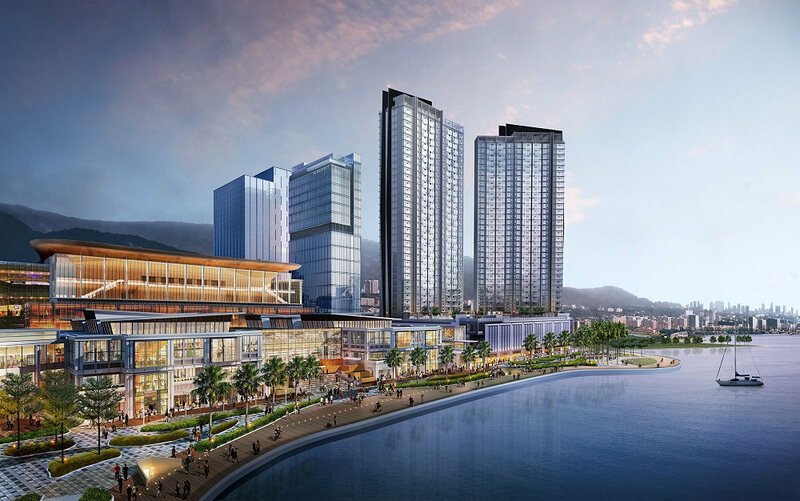 But the best news is that PWCC is part of the 381,000sq m seaside development, The Light City, which will have a retail mall, two luxury hotels, a 28-storey office tower and two premium condominium blocks. 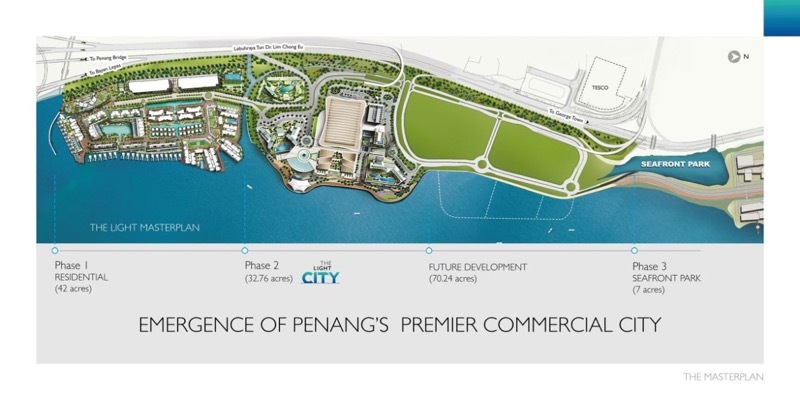 This RM4.5bil freehold project, about 32 acres, is located along Tun Dr Lim Chong Eu Expressway near Penang Bridge and The Light Waterfront. The project, expected to be ready by 2021, was unveiled by IJM Perennial (IJMP) Development Sdn Bhd recently at a ceremony attended by Chief Minister Lim Guan Eng and 200 guests in The Top@Komtar. 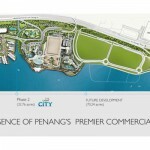 This is a joint venture between IJM Corporation Berhad and Perennial Real Estate Holdings Ltd from Singapore. Perennial chief executive officer Pua Seck Guan said The Light City would be at a coveted location and designed with a good asset plan. 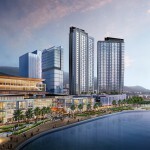 “It will feature modern architecture with a heritage setting. “When completed, it will be one of the iconic landmarks in Malaysia,” he added. He said the five-storey retail mall will cover a total gross floor area of about 140,000sq m, built in such a way that the ambience mimics heritage areas such as Armenian Street. IJM Land Berhad managing director Edward Chong said the two luxury hotels would offer 745 rooms. Chong added that the two condo towers, christened Mezzo and Essence, would be 34 storeys tall. Looking at 3-room or 4-room seafront apartment. PLease arrange for viewing in June or December 2017. PLease inform on the official sales launch date. Preferably on a weekend given a month’s advance notice. Please inform me of launch date. Interested to view. when is the launching ? open for booking ?